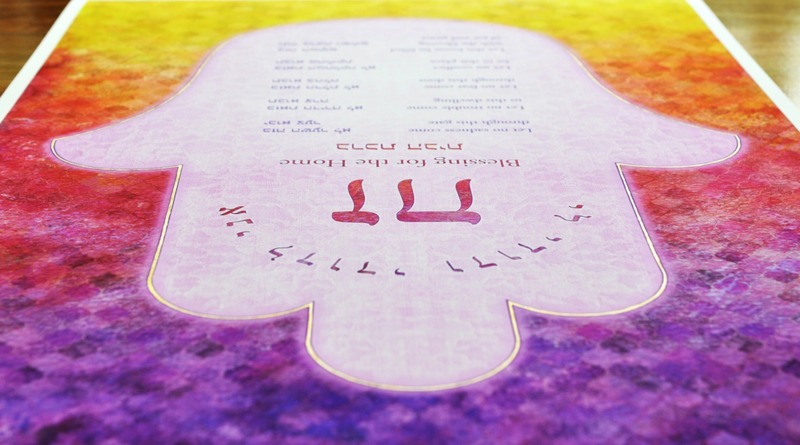 This bright and bold Birkat Habayit harnesses the symbolism of the Chamsa together with a transitional colour gradient overlaying a Mediterranean inspired tiled background to gesture the beauty, intricacy and serenity of life. 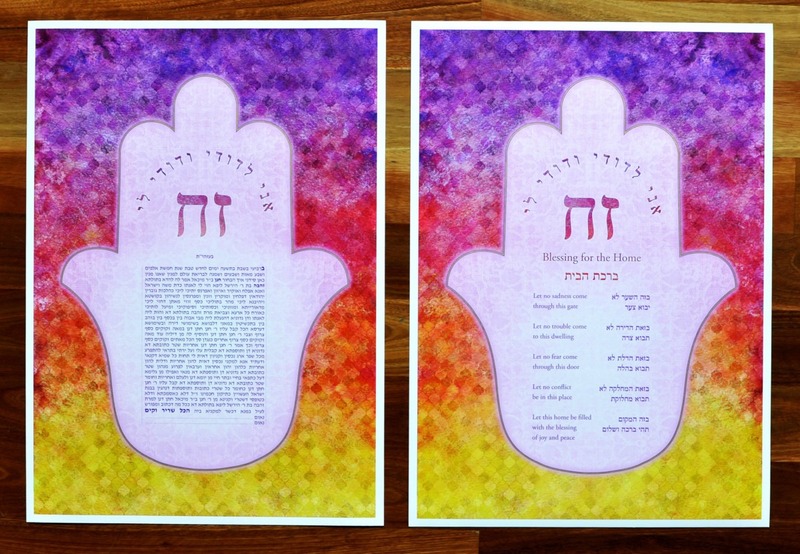 Here the glorious spectrum of a colour palette inspired by the Australian sunrise was evoked for the background upon which this Chamsa floats like a leaf upon the surface of water. 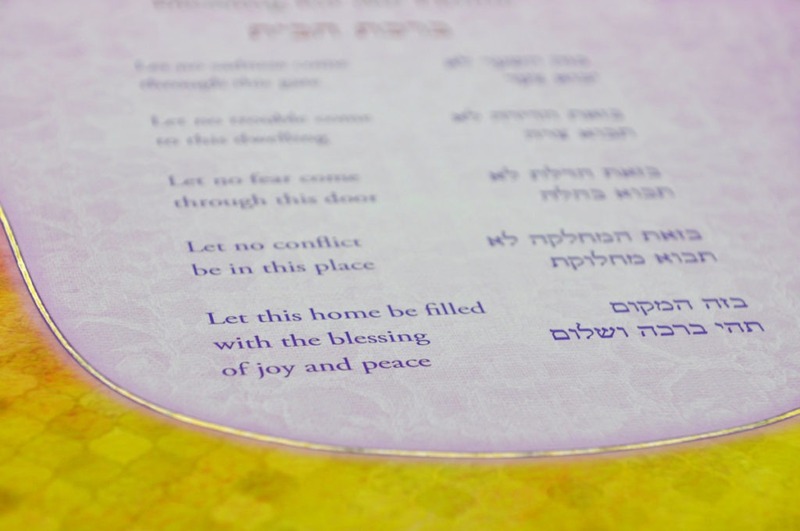 This Birkat Habayit (Blessing for the Home) was paired with a matching Ketubah. The lace interior of the Chamsa is an intricate, soft blush pink and muted contrast to the textures and patterns of the background. A gentle pink / purple halo around the hymn and initials visually connects with, and echos the washes in the background. 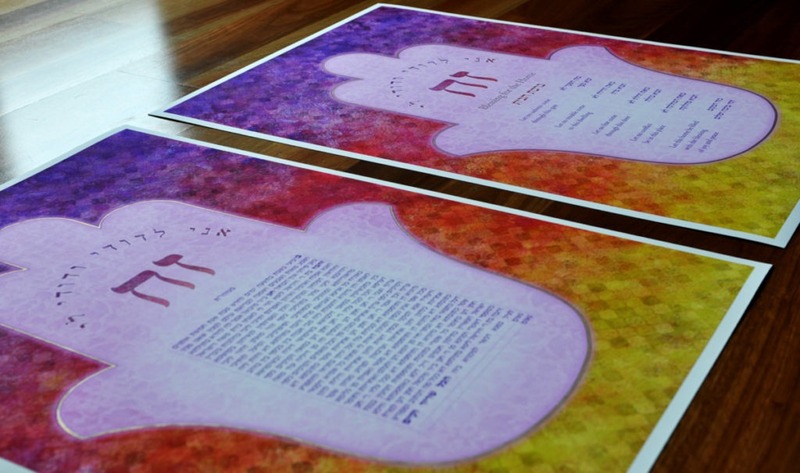 The Chamsa is outlined in metallic gold to bestow a glimmering shimmer to the work which dazzles in the sunlight. 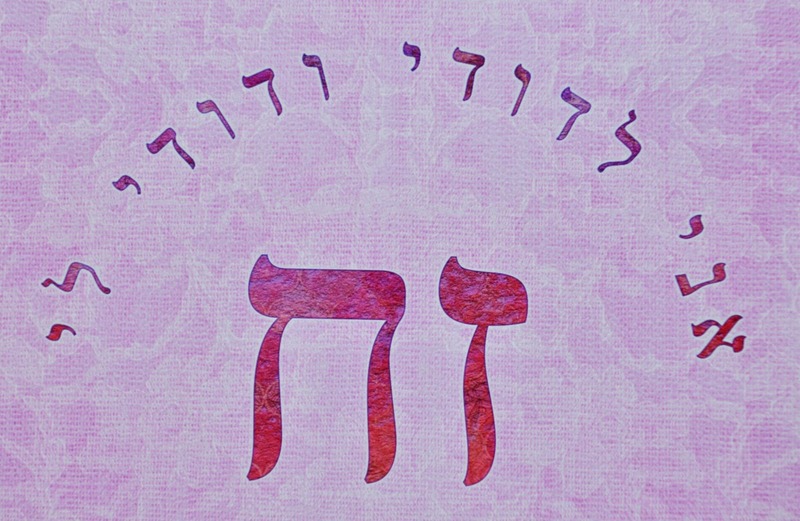 As a motif, the Chamsa signifies the five digits / fingers of the Chamsa hand, the five books of the Torah and the fifth letter of the Hebrew Alphabet “ה” (one of God’s holy names). 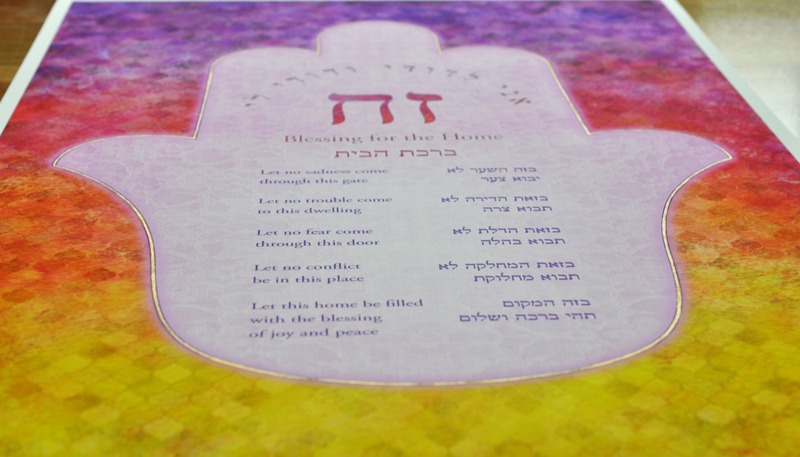 In this way, the Chamsa symbolises the hand of God and consequently is a protective sign believed to bring the home happiness, health and Hashems blessing. 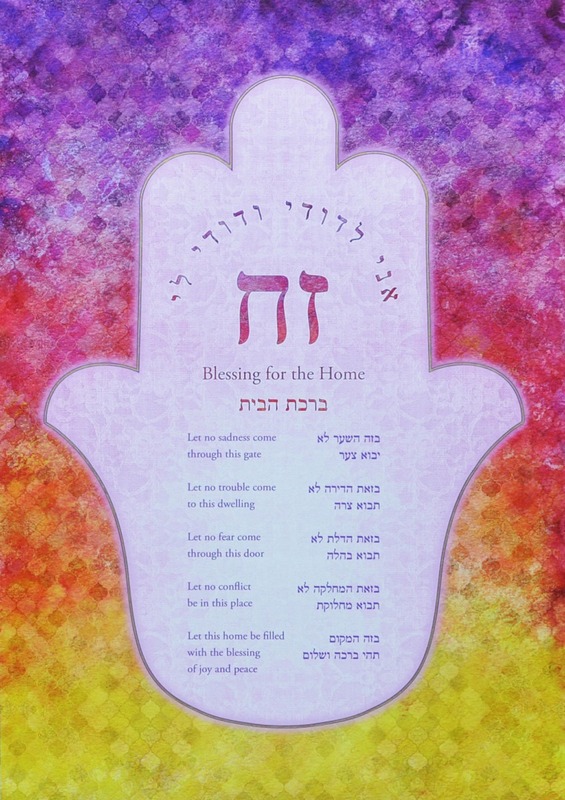 The hymn “אני לדודי ודודי לי – I am my Beloved’s and my Beloved is mine” (Song of Songs – Shir HaShirim 6:3), a romantic declaration written by King Solomon to express the affinity between husband and wife (or man and Hashem), wraps around the pairing of the initials to create a dome. 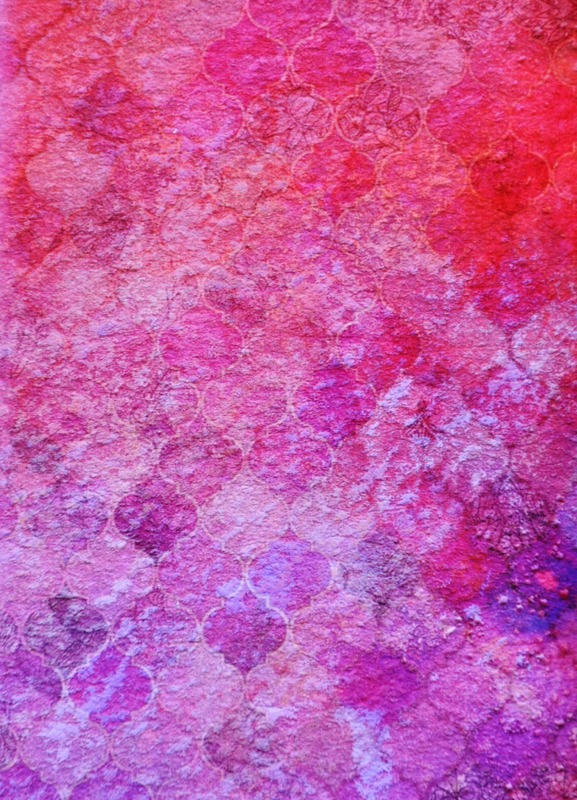 The paper is textured, porous and bears the gestures of the brush, yielding depth to the design.